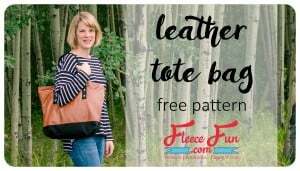 Here you’ll find all the free bags and accessory tutorials and sewing patterns Fleece Fun has to offer. 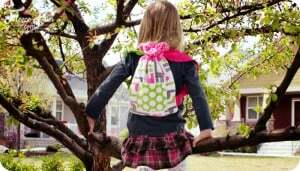 From the easy to sew Hobo ( in child and adult sizes) to the amazing Sleeping bag pack. There are tutorials for everyone. This bag is so handsome with it’s faux leather trim and buckles – you might just want to keep it for yourself when your done sewing! Get the tutorial here. Made from faux leather, this tote is great for carrying what you need while looking stylish! Get the tutorial here. Show off your brand in style and have a place to stash all your conference swag. 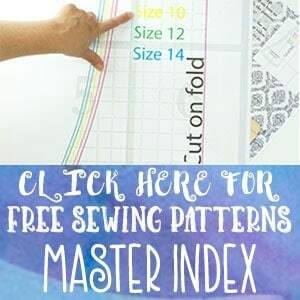 This free sewing pattern has a fabulous shape and details on how to put your logo on it. Get the free pattern here. 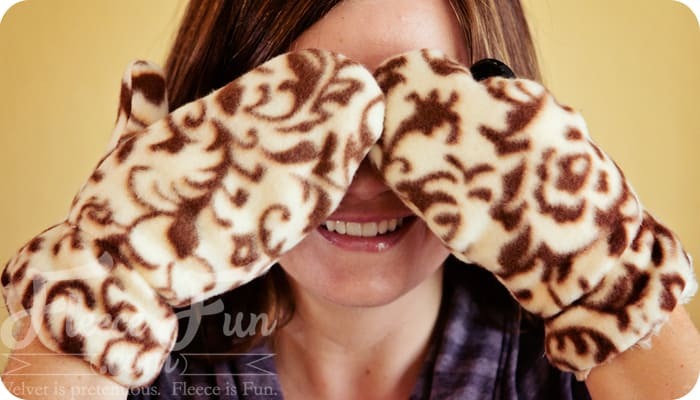 Brought to you by a Fleece Fun Guest post – Creative Seams. 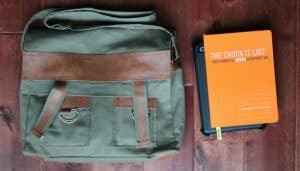 This bag is great for when you are on the go! You can get the free pattern here. Perfect for the fella on the go, this little shaving kit is handsome and practical. Get the step by step tutorial. This handy clutch is chic and perfect for stashing a few necessities in for a night on the town. 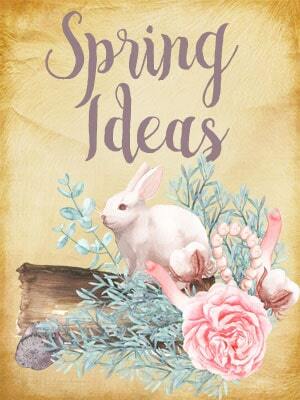 Get the free tutorial here. 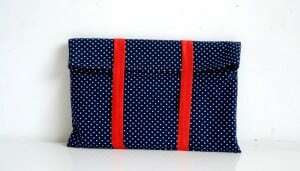 This simply elegant tablet cover is perfect for keeping your electronics nice and covered. Get the tutorial here. 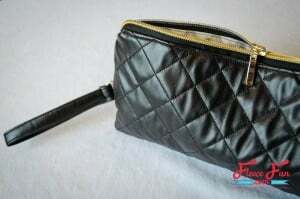 This adorable little purse is great for makeup, travel and numerous other things! Get the tutorial here. 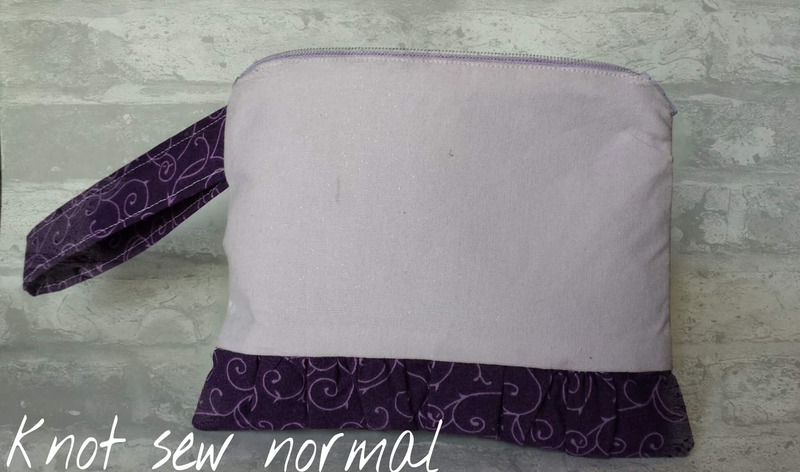 Adorable easy sew purse with pockets to keep trinkets and secrets in. 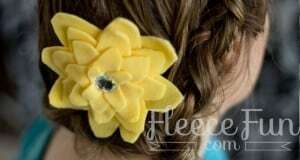 Ruffle fabric can be used in addition to fleece for added flair. Comes in sizes child and adult. Get the Free Pattern and tutorial here. Yes it’s possible! You can make a cute purse without sewing a single stitch. Comes in sizes child and adult. Get the free pattern and video tutorial here. It’s a sleeping bag that turns in to a back pack! Perfect for sleep overs, day trips, and grandma’s house. 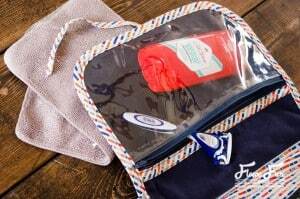 Back pack has pockets to stash pajama’s, toothbrush and more. Get the free pattern and tutorial here. This cute little purse is cute and functional! Perfect little purse to keep little treasures in. Get the free pattern and tutorial here. 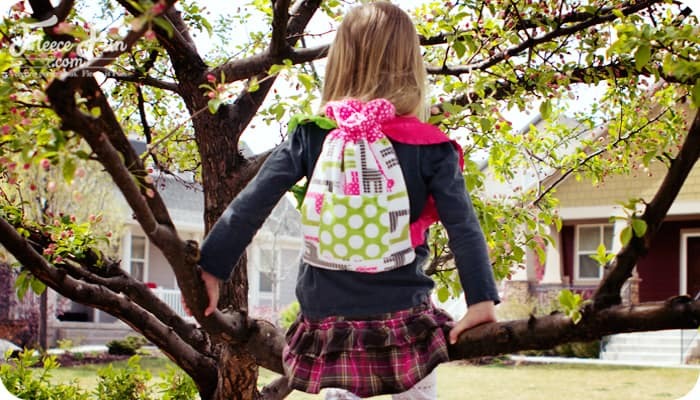 This cute drawstring backpack tutorial is sweet and simple to make! My girls love taking them on trips. Get the tutorial here. 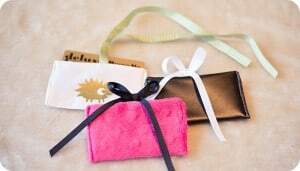 This Gift Card Holder is the perfect way to add a handmade touch to a simple gift. Get the tutorial here. This cute fascinator is great for pictures and weddings. 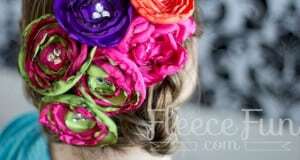 Works for flower girls or brides. Also works well attached to the mini top hat or the mini tricorn hat. Get the free pattern and tutorial here. 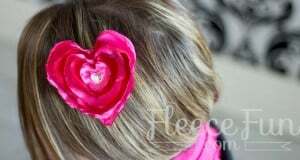 These hair clips are perfect for hats, hair, scarves and more. They are the final touch to an outfit. They’re fun to make too! Get the Free Pattern and video tutorial here. This easy clip not only is no sew , but it’s no glue too! Fast to put together. 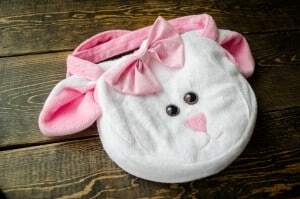 Get the free pattern and tutorial. A sweetheart of a project it is very similar process t the satin flower clip. Get the free pattern and video tutorial here. 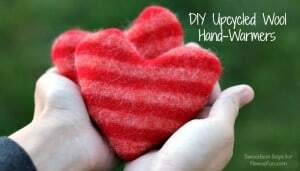 These little hand warmers are cleverly designed to have a washable outer shell. Perfect for warming up and stuffing into little pockets for warmth during the cold months. Get the tutorial here. These double lined mittens are perfect for keeping fingers warm! Sizes child to adult. Get the free pattern and video tutorial here. This pattern is easy, fast and adorable on little girls! Comes in child and adult sizes. 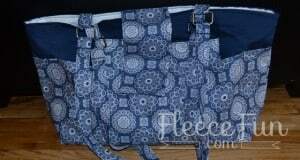 Great scrap buster for leftover ruffle fabric. Get the free pattern and tutorial here.